Coaches - Now more then ever coaches in Montana are becoming the rage. With local coaches coming on board and racers taking it more seriously, coaching has become prominent. If your in the market, check out Brad Morgan, Elliot Bassett, Momentum Fitness, and Brendan Halpin. Events - This year's Montana calendar is going to be the best ever. Promoters are more excited and more experienced. I'm telling your right now don't miss the season kick off at Psyclocross. CX legend Bill Cochran will have his usual masterpiece in Bozeman. 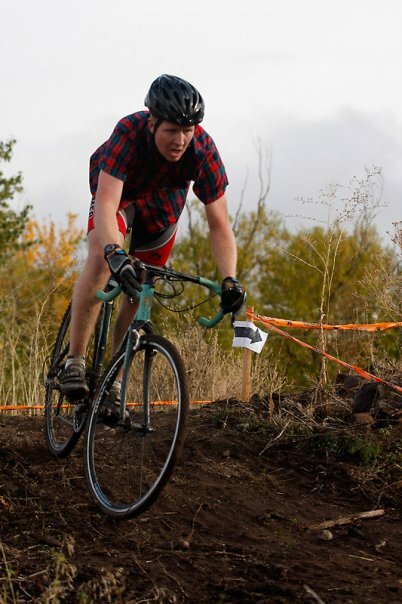 Moose Cross is coming back another year with a great course and atmosphere. Flathead, Helena, and Butte will all have the courses you love and the sections you talk about all winter. Byron is cooking up something new in Helena. Don't forget about Mulecross on Halloween. First year promoter Rob Newsome is throwing down a Billings weekend that should be bananas. This year's state championship will either be in Polson or Kalispell (like last year). We will post it on the MBRA calendar ASAP. Equipment - Tubulars, super light brakes, and gear ratios. Check out Josh's blog for the latest cx gear reviews. The times have changed. I used to roll the Bianchi Volpe touring bike. I still remember telling people that would be a good bike for cx. Now a days Owen's Red Danger sticks out like a sore thumb (no offense OG, I love Red Danger). Teams - I'm guilty as anyone getting on the team band wagon. I wanted to be like all the other regions and have cross specific teams. This year you'll see several different jerseys out there. The cross forces of MT Velo and GAS will once again be at the front. MTcx and the LPO Wheelman will be back. New for this year is a small team from Hellgate Cyclery and a team from Missoula Bicycle Works. Both teams will bolster strong lineups. Also, look out for the men in black from the Flathead. I'm sure Matty B will get the boys organized. cx will be white hot this year!